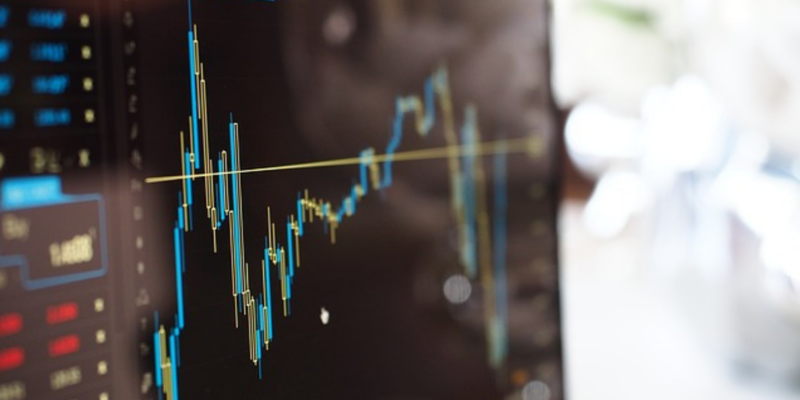 After a dramatic spike in volatility in the second quarter following news of an unexpected Brexit announcement, markets largely rebounded without major interruption throughout Q3. Nevertheless, macro uncertainty remained high with the familiar refrains of divergent central bank policies, geopolitical tensions, and sluggish global growth continuing to loom large. The US economy continued to muddle along. According to the latest revised data, second quarter GDP increased at an annual rate of 1.4%. These results did little to assuage concerns that the US economic recovery was stalling as Q2 represented the third straight quarter that GDP increased at a rate of less than 2%. However, early estimates for third quarter GDP may provide some relief as various sources indicate growth once again breaking through the 2% threshold. As mentioned in previous commentaries, the consumer has remained a key bright spot and driver of the economy. Following a perceived disastrous May payrolls report, labor markets appeared to bounce back in Q3. Based on data from the BLS, the US economy added a robust 271,000 jobs in June, a further 275,000 jobs in July, and 151,000 jobs in August. Monthly average job creation for the trailing twelve months currently stands in excess of 200,000 jobs per month. Additionally, the unemployment rate has continued to hold steady below 5% as the domestic jobs picture represents an apparent bright spot. The US Federal Reserve’s September meeting saw the central bank once again opting not to increase interest rates. Nevertheless, despite the fact that the US central bank continued to emphasize only gradual increases in the Fed Funds Rate, the tone of the Fed statement (and Chair Yellen’s press conference) shifted in a decidedly hawkish direction. While the Fed’s longer term outlook for domestic rates continues to trend lower, one noteworthy takeaway from the September meeting was the fact that three voting members of the FOMC dissented in favor of a rate increase. Many market participants took this as a sign that a 2016 rate hike was increasingly still in the cards; however, current market implied odds for a December rate increase are still only slightly higher than a coin toss. As has been the case in previous quarters, movements in the US Dollar were closely linked to the Fed; for Q3, the aforementioned more hawkish Fed likely helped to engender a modest -0.7% decline in the USD. On the micro front, second quarter earnings results largely mirrored Q1. According to data from JP Morgan released on August 11th, 78% of S&P 500 companies beat earnings estimates in the second quarter. However, earnings growth continued to paint a worrisome picture with Q2 EPS growth clocking in at -5%. While this represented an improvement from the negative growth rate seen in Q1 earnings, the idea of a prolonged “earnings recession” continues to raise questions about the future return potential of domestic equities following a multi-year rally from the depths of the recession. The 2016 Presidential election entered its final stages as both Donald Trump and Hilary Clinton maintained aggressive campaigns against one another and also engaged in their first formal debates. Both campaigns remain marred by scandals and negative headlines which may be fostering added voter uncertainty as we approach a pivotal Election Day. When compared to the second quarter, there was certainly no equivalent to the major Brexit announcement in Q3, although markets did witness several key developments on Britain’s plans for leaving the EU. Perhaps the most crucial was the election of Theresa May as the new Prime Minister of the UK; May’s election included the appointment of several key policymakers to lead exit negotiations. While May has not yet formally filed the required Article 50, most market participants expect some resolution on this front by early 2017 (though the actual negotiations could span multiple years thereafter). Attention has now shifted to whether additional European nations will follow Britain with a key December 4th Italian referendum now looming large as the potential next domino to fall in said drama. Both the European Central Bank and Bank of Japan joined the Fed in hosting key policy meetings in September. The ECB largely met expectations by keeping policy rates unchanged though markets were somewhat rattled in the first few days of October when Bloomberg reported that the ECB was already considering tapering its accommodative asset purchases despite economic data still trailing stated policy goals (a report that was subsequently denied). In what was perhaps a less-anticipated development, the BoJ opted to refrain from cutting policy rates further into negative territory. This decision was accompanied by the implementation of targeted government bond purchases in an effort to better manage the Japanese yield curve. As is the case in Europe, Japan’s monetary policies have yet to yield major substantive improvement in key economic data points. A selection of market pundits have espoused that the BoJ’s decision signals an acknowledgment that negative interest rates may lack efficacy as a monetary policy tool. In any case, markets are likely to continue monitoring both of these crucial central banks closely. Oil markets were once again a front-and-center news item in Q3 following a late-September announcement that OPEC was initiating a study of how to implement its first production cut in 8 years. While the exact logistics of any production deal remain unknown, the news was viewed as bullish with the price of oil spiking upwards on the day of the announcement. Despite this late-quarter move, the price of WTI oil was roughly flat quarter over quarter. Global equity markets yielded gains in the third quarter as declining volatility and a lack of adverse macroecnomic shocks were accommodative to risk assets. For reference, the MSCI World gained +5% in Q3, a result that slightly outpaced US equities as measured by the S&P 500 (+3.8%). International markets generally outpaced their domestic peers in Q3 with the MSCI AC Asia (+9.6%) and AC Europe (+5.4%) both enjoying meaningful bounces from their post-Brexit lows. Emerging markets also continued to be a banner performer with the MSCI EM index ripping higher by +9.1% in the third quarter. After several years of being beaten down, EM equities have gained +16.4% YTD through 9/30 as investors may have flocked to perceived “value” opportunities after a sustained period of underperformance. Additionally, as slowing global growth becomes more entrenched, the allure of emerging economies with better growth potential may be a driver behind the positive flows. The majority of the sectors in the S&P 500 yielded gains in Q3. Technology (+12.9%) was a standout performer in the quarter as investors bid up risk assets and several core index constituents - (e.g. Apple) - saw meaningful price movements. More cyclical sectors such as Industrials (+4.1%), Materials (+3.6%), and Energy (+2.2%) likely benefitted from the risk-on mentality and the aforementioned rise in the price of oil. Unlike the first half of the year, perceived safe haven and/or yield-oriented sectors stumbled in Q3. Portfolio rebalancing and a more hawkish stance by the Federal Reserve may have contributed to the fall in Utilities and Telecom, each of which declined nearly -6% in Q3. After lagging in the first half, Financials yielded gains of +4.6% in Q3. The probability of rates finally rising was generally positive for banking stocks as was the news that many large banks received clearance from the Federal Reserve to finally increase dividends and share buybacks after meeting the necessary capital requirements. However, the quarter was not without drama for the banking sector as legal troubles and derivative exposure at Deutsche Bank (“DB”) caused a precipitous fall in the German institution’s stock price. As reports surfaced of counterparties pulling collateral, investors were quick to question whether DB would represent a repeat of Lehman Brothers in the 2008 Financial Crisis. An announcement in the final days of the quarter that a key DB mortgage settlement with the Department of Justice would be smaller than the worst case scenario sparked a rally in markets that likely alleviated near-term angst. Nevertheless, the situation is far from resolved and traders are likely to continue watching one of the world’s most systemically risky banks closely. Bottom Line: Despite the recent bounce from Brexit lows, we maintain our view that volatility is likely to persist and anticipate continued use of opportunistic rebalancing to maintain exposure to quality opportunities. We continue to favor domestic equities over their international counterparts. While the start of this move is coincident with the Fed’s first rate increase in nearly a decade, changes to money market regulations have been cited as the key reason behind the rise in interbank rates. Adjustments to which securities certain money market funds can and cannot own has led to significant activity in short-term paper markets in advance of the required October compliance deadline. Massey Quick has analyzed the forthcoming changes to money markets and is available to address any questions you may have. The impact of rising LIBOR on borrowing costs and floating rate instruments remains worthy of attention over the longer-term. High yield bonds remain one of the best performing asset classes year to date as junk bonds built on their first half performance in Q3 (the Barclays Global High Yield gained +5.3% in the third quarter). As noted previously, in our first and second quarter updates, the riskiest segments of the high yield market continue to dramatically outperform their safer peers. Based on data from JP Morgan, CCC-rated bonds have returned a remarkable +28% YTD through September 30th while their BB-rated counterparts have posted more modest (but still strong) gains of +11%. Bottom Line: We continue to approach credit markets with caution given unprecedented central bank policy and structural issuers pertaining to market liquidity. Our emphasis remains on higher quality securities with lower duration risk. Hedge funds continued to rebound after a very rocky first quarter. Based on preliminary results, the HFN Hedge Fund Aggregate Index advanced +2.2% in Q3 leading to a total YTD return of approximately 3.5%. Most major strategies finished the quarter in the black. Equity-oriented funds may have benefited from lower correlation among individual stocks to yield gains of +3.2% in Q3 (as measured by the HFN Long/Short Equity Index). This dispersion of returns likely also worked to the benefit of Short Biased strategies (+1.7%), which were able to generate positive returns despite the broader market melt-up. Distressed (+4.5%) and Event Driven (+4.0%) managers also continued to generate positive returns. As was the case in Q2, the continued rebound in commodity-oriented assets likely represented a tailwind for both strategies. In contrast, Macro strategies represented a negative outlier in Q3; managers within this universe posted modest losses of -0.4% as some of the aforementioned macroeconomic news items may have hurt popular trading strategies (e.g. long dollar exposure). Bottom Line: We are sympathetic to investor frustration with hedge fund performance. However, we maintain our position that increasing levels of volatility and market inefficiencies in illiquid assets create attractive opportunities. Our focus remains grounded in a dedicated, disciplined asset allocation framework for each client portfolio. We continue to believe that portfolio diversification across asset classes facilitates a broad opportunity set for delivering returns in an environment of increasing. 3Source: CME Group, odds as of 10/5/16 show a 54.8% probability of a December rate increase.